There's a lot of change going on in Uptown. While we're always happy to welcome new businesses to the community, we also want to acknowledge those that have been serving Uptowners for years. A couple years ago we tipped our hat to mainstays Shake Rattle & Read, Felix Locksmith, Jake's Pup In The Ruff, Food Town, the Green Mill, Carol's Pub, and the Pancake House. There are of course more locally owned shops that have stuck it out through thick and thin, and today we pay tribute to some of them. Who have we missed? We're thinking of places that have been here for more than 30 years, like these below. Tell us and we'll put them in "Part 3." 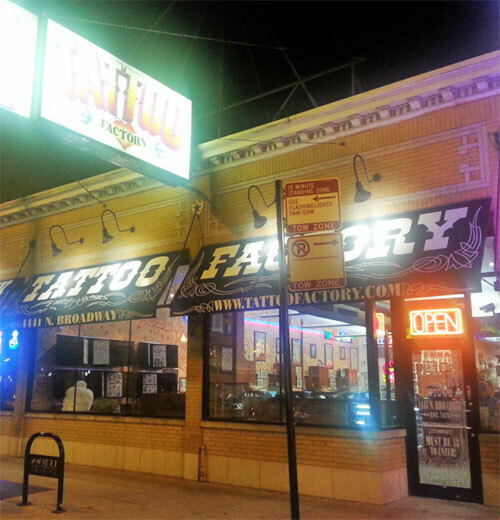 The Tattoo Factory has been on Broadway since 1976. It was started by "Tattoo Pete" Collufarici, and since his untimely death in 1996, has been owned and operated by his brother, "Tattoo Paul." 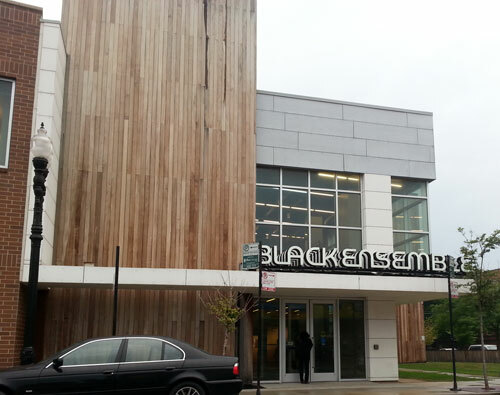 Black Ensemble Theater was founded in 1976 by Jackie Taylor, a combination of national treasure and force of nature. She begged, borrowed, and charmed donors into helping her put together BET's first permanent home on Clark in 2011, because she wanted a legacy that would endure beyond her lifetime. She even literally passed the hat at performances at BET. We are lucky to have her -- and her legacy -- in Uptown. We're rounding up 29 to 30 with Big Chicks, which was established in 1986 by Michelle Fire at 5024 Sheridan. 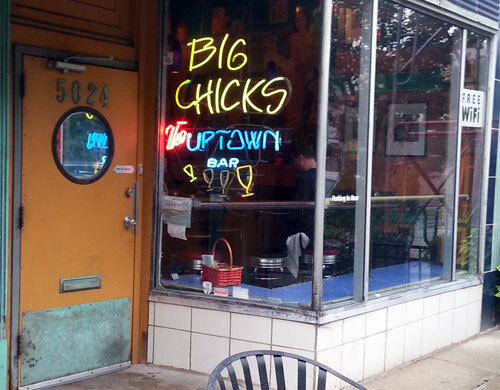 Big Chicks embraced Uptown, and vice versa, so much so that when the bar was discovered to be in violation of local liquor laws in 2004, the community, Agudas Achem Synagogue, and local lawmakers rallied to save it. The state's Liquor Control Act was amended specifically for Big Chicks to remain in business. Lawrence House Pharmacy may no longer be in Lawrence House, but we're so glad they've stuck around the neighborhood since 1970. 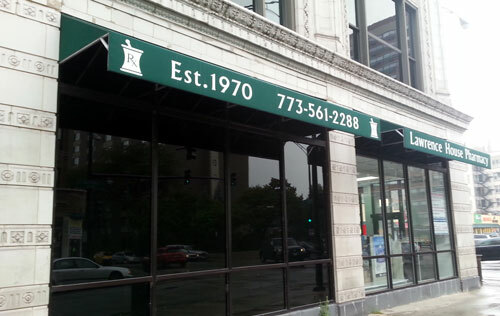 If you get a chance, stop by and talk to Joseph Rogowin about his memories of Uptown over the years, or get your prescriptions and health needs filled by the friendly staff at Lawrence and Sheridan. 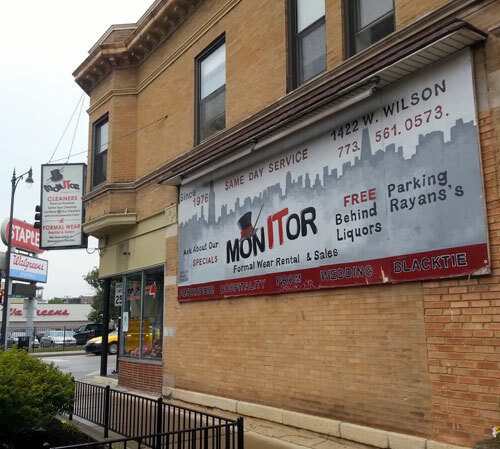 We don't know how much of a call there was for formal wear in Uptown in 1976, but that's when Monitor Cleaners/Monitor Formal Wear at Wilson and Clark opened their doors. They are run by the Rayan family, owners of many local businesses and storefronts. 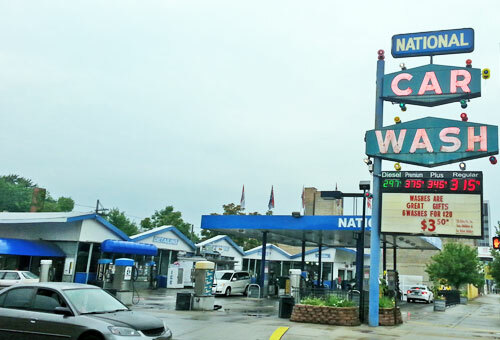 National Car Wash at Broadway and Ainslie celebrated its 60th year in business in 2013. When then-alderman Mary Ann Smith wanted to have it torn down, the community rallied to its defense. Now the line of cars waiting for a wash sometimes goes around the block on spring days. Mary Alejandro has been in business in Uptown since 1967. She and her husband started out with a store at 1307 Wilson called International Foods, now the location of Baker & Nosh. 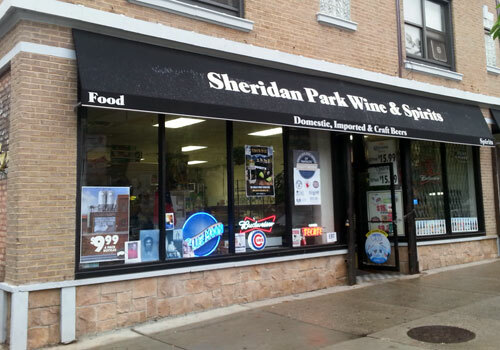 Today you can visit her a block east of there at Sheridan Park Wine & Spirits, formerly Sheridan Park Food & Liquors. 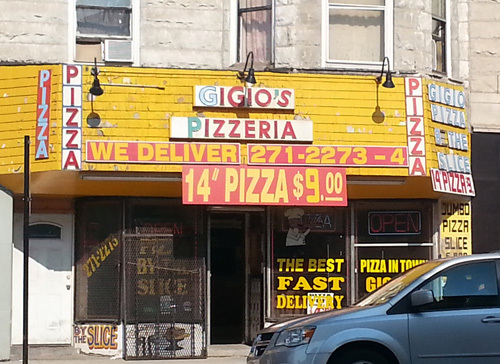 Gigio's Pizza was established in 1965 when the Buttitta family moved to Chicago from Italy. It relocated to Uptown in 1993. If you like pizza slices that are bigger than the paper plate they're served on (and we do), this is the place for you. 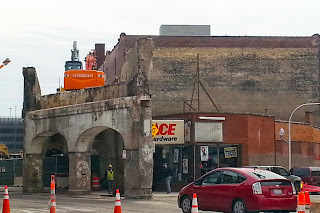 It's hard to get a good photo of Ace Hardware at the moment due to the Wilson L construction, but that's fitting because it's been one of Uptown's hidden gems since 1972. We don't know how they manage to fit everything in the world into the small store at Broadway and Clifton, but we've never walked away empty-handed. This store boasts a very helpful and knowledgeable staff. What about Uptown pizza on Wilson in Kenmore? Unfortunate, but emblematic of Uptown, I guess, that a tattoo parlor makes the list. I wonder if the pawn shop at Sheridan and Broadway qualifies, too. What's unfortunate about it? It's one of the cleanest and nicest-run such shops I've ever been in, with great staff who're friendly to newbies. I'm seriously considering getting my first tattoo there soon.